It has recently been brought to my attention that you have been disrespecting both me and my family. So, as accustomed as I am in dealing with these matters, I think it best that I’ll leave it up to you to select your final fate. So what will it be? A horse's head in your bed? A bullet through the brain? Or perhaps something far less gruesome, like an exploding car or a trip off of a tall-tall building? Come on man, toughen up, stop sniveling, and decide how you would want your life to end. 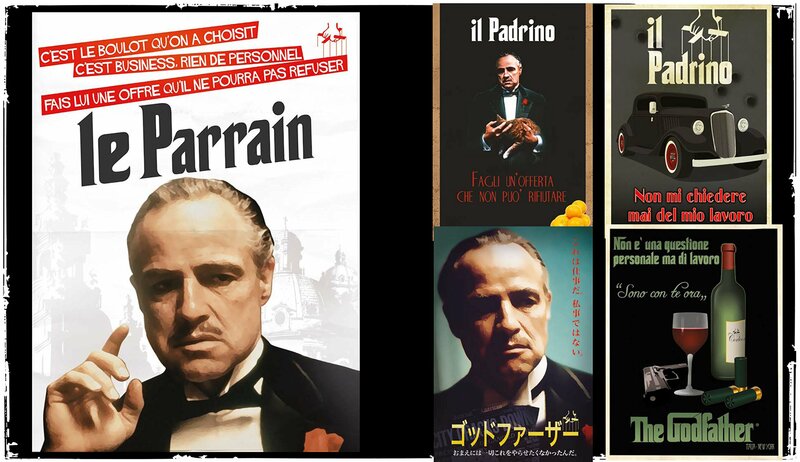 After all, I am the Godfather, and I have a brand new book coming out based on my film. What’s that? You didn’t know that I had a book? Or for that matter, a film either? Tut-tut-tut! Why not? Where have you been over the last forty years? Sleeping with the fishes or another man’s wife? Either way, I have a book, I am the Godfather, and this is why I think you should go and pick one up. 1) LAST WRITES: When I first approached Peter Cowie to write this new book, I said to him, ‘Peter, if you don’t write this for me, I promise you that none of your other publications will ever see the light of day. Be it your biographies on people like Ingmar Bergman, John Ford, or Louise Brooks, right down to that other book you wrote for me in 1997, published by Faber and Faber, one way or another you’ll be finished, you hear, completely finished, ka-put, a film historian no more’. And do you know what his reply was? He said, ‘Sure, of course I will write this new book for you, Godfather, and this time I will make it a lot more lavish than ever before. Please, you have to believe me, as I give you my word as a journalist, a student of Cambridge, and an author of over 100 other books, 78 years young, that I will do my utmost to avoid getting pulverized by you and your family’. After he said that I nodded my head and Benito then set him free... for now. 2) SNAP YOUR NECK OR A PICTURE: Whenever someone decides to stop breathing, wink-wink, the local constabulary always makes sure they take some pictures so they can present them in a court of law: Pictures of people’s faces, pictures of people’s bodies, as well as pictures of where these people allegedly passed away. Funnily enough, this book also has a lot of pictures: Pictures of the cast, the crew, as well as all of that boring stuff which goes on behind the scenes. In fact, this book has so many pictures in it, I have to make sure that none of them are too incriminating. 3) I COULD MURDER A MOVIE: Do you know how difficult it is to make a movie? It’s pretty difficult; and pretty damn tough too. Not only do you need a cast of great actors and a script full of drama, tragedy, and suspense, but on top of that, you also need support... plenty of support. Problem is you can’t always get the support you need, especially from a studio who disagrees with your choice of actors and the way you're attempting to shoot the story! So what do you do to turn all of this around? You behave like the director, Francis Ford Coppola, and that's how you sort out this type of mess: You strike fast, you put your best foot forward, and you stick to your guns by aiming high and shooting low. Or in other words, you endure, you persevere, and you try to come out on top. 5) FAMILY FEUD: When all is said and done the only thing that really matters in this world is family. This could involve your biological family, a family of friends, or even a bunch of very close work colleagues. Either way, at the end of the day, unity, comradeship, and a familial bond is the key to life and the pursuit of eternal happiness. Well, let’s face it, most of us spend the majority of our lives trying to either develop or maintain some sort of tight-knit unit. Medical professionals, Legal bods, and yes, even gangsters and actors, we each attempt to carve out our own inner circle so we can feel safe and secure in this harsh cold world we all live in. A prime example of this can be seen in the first Godfather film, where my character, the head of the household, tries his best to steer the lives of my four children: The tough one; The smart one; The kind one; and The maternal one; each of them making their own choices under my direction, sometimes good, sometimes bad, and sometimes damn right ugly. But then again, such is life. Buy my book or it will end. 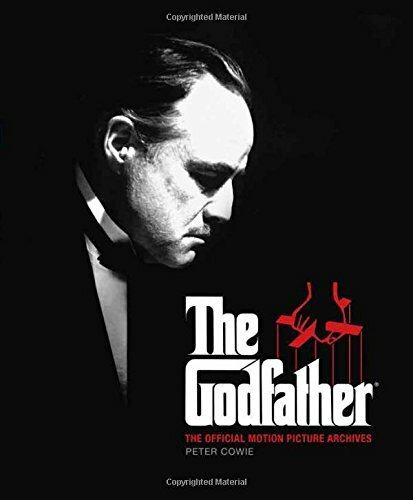 Synopsis: If you want to explain the enduring appeal of The Godfather Trilogy, then if I was you, I'd pick up this new book written by the film historian, Peter Cowie. 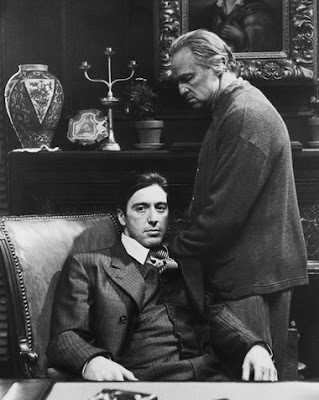 Overall it concentrates on all the elements that made this 1972 crime drama so-so special, ranging from the screenplay adapted from Mario Puzo's bestselling novel, right up to Francis Ford Coppola's battle with the studio over his choice of actors and locations. 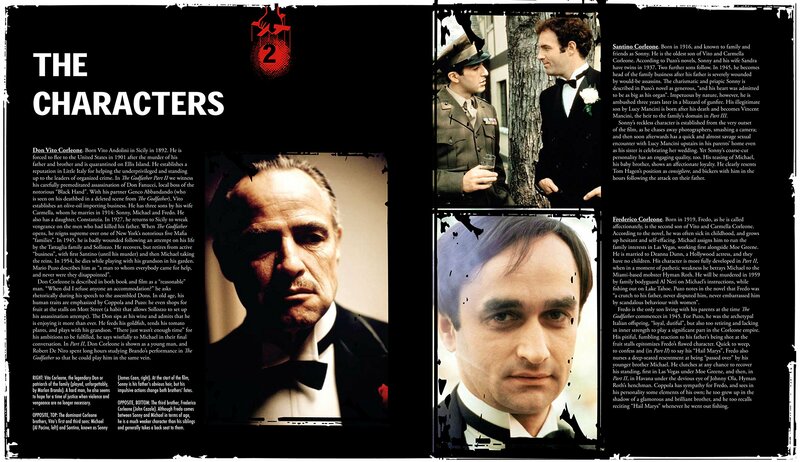 This book also includes lavish pictures (many never before seen by the general public), the numerous film locations it made famous (both in New York and Sicily), as well as some insight about what inspired a 31-year-old Francis to make this film in the first place.